This week is definitely a tough week for me. I have been feeling unwell from Monday, so I didn't make any bento for the kids. That's why no update for my blog in the past couple of days. They just had lunch from the school catering. I felt better yesterday and tried to sleep earlier because I promised the kids to prepare bento for them. This morning woke up with a sore body (again) and just prepared a simple fried rice bento for them. So many things happened in my life this week. My mom's leg was hurt a lot this week so I asked her to check up at the hospital. She has diabetes and she has got accidents twice that broke her leg before. Now, she needs to go to treatment three times for her bones. Hopefully after the treatments all the pains in her leg will go away soon. Hubby will have dental surgery tomorrow morning for his wisdom tooth removal. He is a bit worry about the surgery so I will accompany him tomorrow. Pray that everything will go smoothly for him. Big A will have a longer school day until 3PM on Monday, Tuesday and Thursday. And the new regulation from the school that I just received yesterday required every students to take at least one of the extra-curricular activities provided by the school. Big A decided to go to ballet class on Wednesday and Little A will join the chess club on Friday after school hours. I see, that's whey we have not seen your blog updates for few days..
Hope everything went well for you and your family. 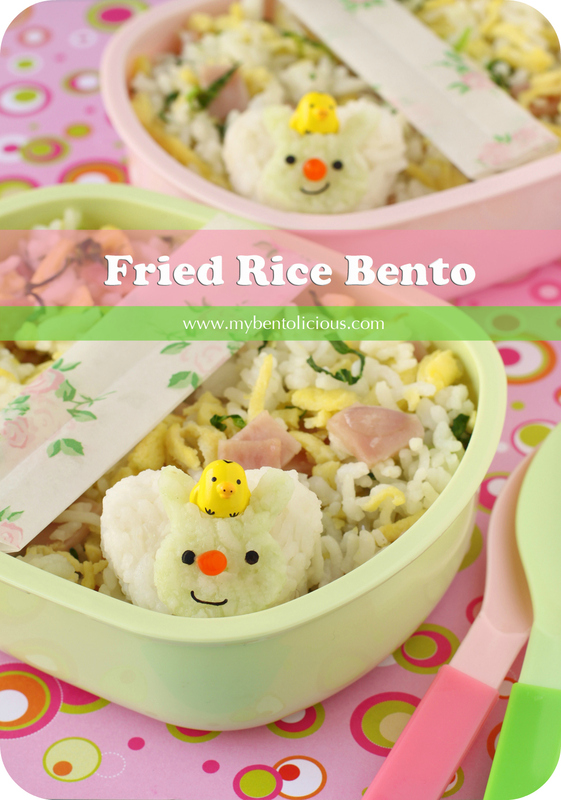 Your sweet bentos are adorable as always! @Bobo : Thanks a lot Bobo! @sheri fujihara chen : Thanks a lot Sheri! I hope you feel better and that all is well for your family, Lia. I went through a similar thing not too long ago. Don't worry about the dental surgery. I had mine removed a couple of years ago. Take a good rest and remember to rinse his mouth every time after meal and it should be fine. @Miu : Thanks a lot Miu! Take care, dear. Hope everybody in your family get well soon. Sounds very busy Be careful and get a good rest Ehen everything is over:) I' m looking forward to new delicious bentos when there is time for them again! @Amaaris : Thanks a lot Amaaris! May good health remain in your body and your family all the time, so your charm can always shine, and inspire others. :) Take good care. @Emily Ng : Thanks a lot Emily for your support and comforting words! @arkonite_babe : Thanks a lot Susan for your support! Health come first, so that you can take care the rest & looking forward to your new bento. May God Bless you & family. @Oen Priyanto : Thanks a lot Oen! @Mary Chey : Thanks a lot Mary! @Czarina : Thanks a lot Czarina! Oh my goodness Lia. Sounds like everyone has a sore something somewhere over there. I hope you're feeling alright, I hope Little A's wisdom tooth removal went smoothly and mostly, I hope your mom is doing well. Diabetes is such a silent bugger. Stay well! Hope you feel better now & things go well with your family. Hope you've been okay! Hope your mum is alright too. Wow, you have had a hard week! Hope things go well with your mom and your husband surgery! It doen't help when you are under the weather yourself. We seem to pull ourselves through it for our loved ones. :D After all that and you still pull out a stunning fun bento! We have been trying to deal with our aging dog who's 15 yrs old. My daughter is 16 and really doesn't know life without him. I guess like the little brother she never had! We are ready for the weekend! Oh dear, hope things will go smooth for you and family! Take care Lia. @Fang Fang : Thanks a lot Fang Fang! @London's-beauty : Thanks a lot for visiting my blog. Hope you can start your own bento making very soon :) Mostly I got my bento stuffs from online stores, friends in Japan or when traveled to overseas. @KidsDreamWork : Thanks a lot Ai Ping! Aw Lia, that's quite a lot going on. Sending best wishes to you and family, dear! Lovely bento with your tender touch. Hugs!